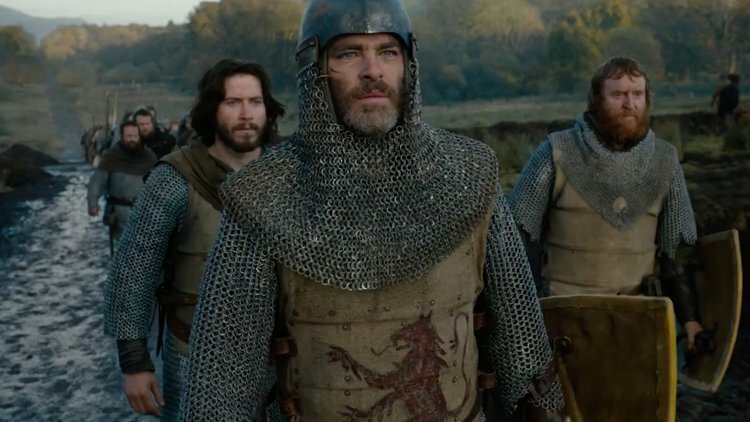 The trailer for David Mackenzie's new feature, OUTLAW KING has been released. The star studded biopic which will open this year's Toronto Film Festival is Produced by Sigma, Netflix and Anonymous Content and tells the story of the King of Scots, Robert The Bruce, and his fight against the ruling English. The film stars Chris Pine, Florence Pugh and Aaron Taylor-Johnson and features costume design by Jane Petrie and hair design by Kirstin Chalmers. The film will be officially released on Netflix on November 9th. "LEADING LADY PARTS" IS AVAILABLE NOW ON BBC iPLAYER! The short film, LEADING LADY PARTS, is now available to stream on BBC iPlayer. Written and Directed by Jessica Swale the project is part of the "Hear Her" series inspired by the Times Up campaign. Produced by Rebel Park Productions and shot by echo's Chloë Thomson, the short features a star studded cast including Catherine Tate, Gemma Arterton, Emilia Clarke, Florence Pugh and Tom Hiddleston.